AVOID PENALTIES: Remember, not enrolling in Medicare when you are eligible may result in financial penalties and delayed enrollment. INITIAL ENROLLMENT PERIOD: You can sign up for Medicare benefits during a 7 month period that begins 3 months before your 65th birthday, the month of your 65th birthday or 3 months after your 65th birthday. This is called your Initial Enrollment Period. SPECIAL ENROLLMENT PERIOD: If you turned 65 but waited to sign up for Medicare because you or your spouse worked for an employer with more than 20 employees and had health care coverage through your job or union, you may be eligible for a Special Enrollment Period. 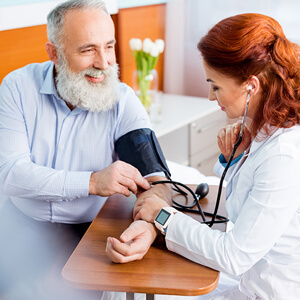 A Special Enrollment Period lets you enroll in Medicare Part B without penalty at any time while you have group health coverage and for eight months after you lose your group health coverage or you (or your spouse) stop working, whichever comes first. GENERAL ENROLLMENT PERIOD: If you miss your initial enrollment period or a special enrollment period, you have the option to enroll in Part B during the general enrollment period January 1 – March 31. After you enroll in Medicare Part B then you may enroll in Part D from April 30–June 30 and your coverage will begin July 1. OPEN ENROLLMENT PERIOD: The open enrollment period begins October 15 -December 7. This is the period when you may switch your Medicare Part D prescription drug plan or your Medicare Advantage plan. Annually you should review your plans as aspects of the plans may and often do change. See the following link to the webpage for more information on enrolling into Medicare: How to sign up for Medicare Part A & B. Get more info about how to enroll in Medicare Parts A & B on medicare.gov.